Sensible motorists enjoying the festive spirits will have given their cars a long layover during the Christmas and New year holiday period. But the RAC expects that Tuesday 4th January 2011 will be one of the busiest days in 2011 for vehicle breakdowns as cars left standing in the ice and snow refuse to start. 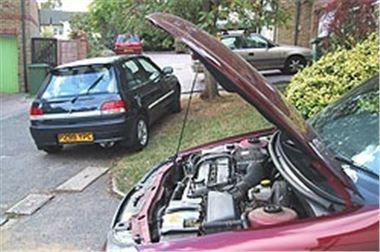 In order to help motorists prepare for a smooth return to work, RAC is urging motorists to do some basic preparations, such as simply turning over the car engine as well as allowing extra time, to ensure they’re not caught out on 4 January. Dip the clutch, hold it down and start your car to ensure everything is working as it should be and allow the engine to reach full operating temperatures (staying with the car while it is on), preferably driving it. Check oil and water levels. Ensure they are topped up correctly. Pay particular attention to the anti-freeze content of the cooling system. Check your owner's handbook for information on the recommended anti freeze or consult your local dealer. If the weather is icy, use a windscreen scraper or a de-icer to remove all the frost from your vehicle before setting off. Don’t use hot water from a kettle, as this may crack the windscreen. Also use a windscreen additive to prevent washer bottle freezing and ensure clear vision of the road. It is illegal to drive with frosted up or steamed up windows, earning an instant fins and 3 licence penalty points. Check the battery connections ensuring that they are tight and free from any corrosion and don’t forget that battery acid is highly corrosive to skin and paint work. Have your battery and charging system checked before it is too late - most accessory shops and garages offer free testing. Be prepared and take a blanket, waterproof clothing, sensible footwear and a fully charged mobile phone in case of breakdown.